Take advantage of this chance to learn from noted author, angler, fly tyer and speaker Henry Ramsay at our next chapter meeting. 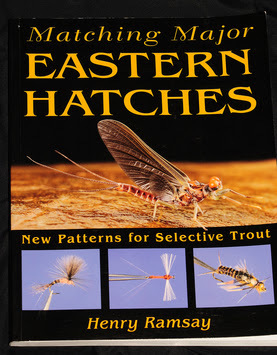 Known for his Matching Major Eastern Hatches fly tying book, Henry is the recent collaborator on Keystone Fly Fishing, an impressive guide to Pennsylvania’s major trout streams. Henry has forgotten more about the insects trout feed on and how to match the hatch to fool even the trickiest of trout than most of us will learn in a lifetime of fly fishing. Henry will be selling and signing books at the meeting. The meeting is free and open to members, guests and the general public. It is held at Stony Hill Fire Department, 59 Stony Hill Road, Bethel and starts at 7:30 p.m., but doors open at 7 p.m. for pizza, refreshments and some good conversation with fellow anglers. Don’t miss out on the raffle too.